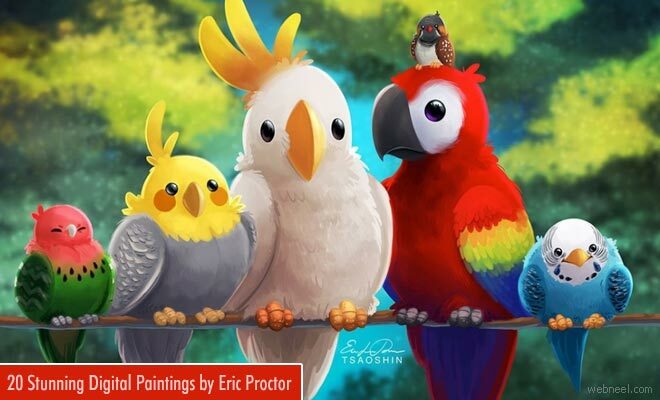 DIGITAL PAINTING : Eric proctor also known as Tsaoshin is a digital artist who has wonderful and most memorable art works to add to his credit. Eric is part of Backseat Drawing, an art and pop culture show with a focus on digital painting. They use comedy and fun for entertaining and educating people on digital painting. His Grumpy Cat Disney mashups have been seen and shared far and wide across the internet, and his creative spirit and technical ability are matched only by his good-hearted nature. His positive approach has earned him many followers and friends in many art communities. Eric motivates and cheers everyone through his many journals and spread the knowledge to everyone.